The state's only juvenile correctional center 'is not the right place for many of the youth in its care,' says an independent study, which urges a top-to-bottom rethinking of the juvenile justice system. An independent review of the Long Creek Youth Development Center urged a top-to-bottom rethinking of Maine’s juvenile justice system after finding that too many young people with serious, unmet mental health needs are being housed at the state’s only youth correctional facility. 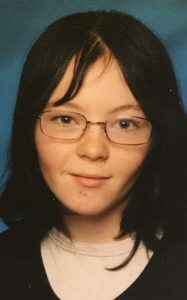 The assessment follows the suicide of a 16-year-old transgender boy, Charles Maisie Knowles, whose death on Nov. 1, 2016, prompted renewed scrutiny of how the correctional facility in South Portland treats LGBTQ youths and young people with serious mental health problems. Advocacy groups in the region that have been waiting for the report released Thursday called for closing Long Creek. The review, conducted by the Center for Children’s Law and Policy, a national organization focusing on youth justice, found that Long Creek is chronically understaffed and ill-equipped to handle the serious mental health needs of young residents who often are placed there because there is nowhere else for them to go. The review was commissioned by the state’s Juvenile Justice Advisory Group. Charles Maisie Knowles’ death at Maine’s juvenile detention center in 2016 was the first in at least 20 years. It’s unclear what, if any, impact the assessment will have on Long Creek’s operation, but it’s certain to define the conversation about troubled youths when the Legislature convenes in January. The report lauded the commitment of Long Creek’s leaders and the energy they devote to helping youths, and found that front-line staff are often professional and highly skilled. But the daily challenges are overwhelming for staff members who are not trained to handle the pervasive mental illness and behavioral issues that the Long Creek population presents, the report found. “Staff and administrators at Long Creek were the first to admit that the facility is not the right place for many of the youth in its care,” the report said. The circumstances at Long Creek have led to dangerous, unsafe conditions for both residents and employees, and have limited the center’s ability to fulfill its mission of rehabilitating youths and reintegrating them into society, the report found. The findings echoed the concerns of Knowles’ mother, who in a series of interviews said she begged staff and doctors to give her son the mental health treatment he needed, but was rebuffed because Knowles was only detained at the facility temporarily. The state Department of Corrections has disputed that characterization in the past, saying everyone at the facility, regardless of whether they are housed temporarily or long term, has the same access to care. About 80 youths live at the 160-bed facility, according to a survey of residents released last year. Deputy Corrections Commissioner Jody Breton did not respond to a request for comment Thursday. Two messages left for Gov. Paul LePage’s office also went unanswered. Knowles’ death was a flash-point for the Department of Corrections. The facility’s superintendent, Jeffrey D. Merrill II, was placed on leave five months later and quickly resigned. Merrill was replaced by Caroline Raymond, the former CEO of Day One, a nonprofit substance abuse and behavioral health treatment organization for adolescents based in South Portland that had done extensive work at Long Creek. Although a review by the Maine Attorney General’s Office found that staff did not mistreat Knowles, the death was the first in decades at the facility and prompted criticism from outside organizations, including the American Civil Liberties Union of Maine, mental health experts and GLAD, the Boston-based nonprofit legal-rights organization that works to end discrimination based on sexual orientation, HIV status and gender identity. The report released Thursday specifically called out mistreatment of LGBTQ youths by other residents and staff, and cited a lack of policy guidance about how state employees should handle LGBTQ issues there. Among its recommendations, the report says staff should be trained specifically to work with children. Currently, staff at Long Creek must pass the same five-week, 200-hour course at the Maine Criminal Justice Academy as corrections officers who work in adult jails. The report also recommends that state policymakers and legislators engage in a frank discussion about the future of the facility, which has a model of treatment and care – with large groups of youths housed in one place, often outnumbering the staff – that has been replaced in other states and may not be effective at treating many of the people who are housed there. State Rep. Charlotte Warren, D-Hallowell, co-chair of the Legislature’s Joint Standing Committee on Criminal Justice and Public Safety, said the report has confirmed her long-held concern that Long Creek is failing the children housed there, and that if changes are not made, another tragedy is unavoidable. “The piece that I feel like we are seeing at every level of the criminal justice system in Maine is that the more that we cut health and human services for folks at all levels, the more we see them end up in my committee and in the work that I do,” she said. Warren said her committee has been hampered in the past by the LePage administration’s policy prohibiting state employees, including those with the Department of Health and Human Services, from communicating with legislators or providing basic information. Warren is hoping DHHS, which has a new commissioner, will come to the table to work with legislators to find ways to better support troubled youths in their communities, and not in a correctional setting. Maine Sen. Kimberly Rosen, R-Hancock, the other criminal justice committee co-chair, said she was not given a copy of the report before it was published and was not forwarded one after its release. But based on media reports, she said the issues identified are familiar to her and to the committee, and that the third-party evaluation brings issues into sharper focus. Rosen hopes the state moves to the recommended community-based model, in which fewer youths are housed in smaller community-based facilities where they receive more personalized, intensive attention from staff. 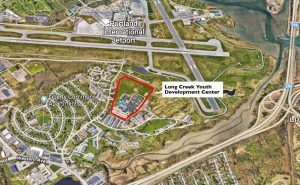 Employees at the center told evaluators that between one-quarter and one-half of the young people housed at Long Creek could be released into community-based facilities. Operating Long Creek is also expensive. A single resident costs roughly $250,000 per year to house and treat. In 2016, the state spent $15.28 million at Long Creek, with the vast majority, about $15 million, coming from state funds, according to the state Open Checkbook. Most of that money is spent on staff salaries and benefits. Long Creek is the only youth detention facility in Maine, housing youths from all 16 counties who are arrested or run afoul of the law. The population there falls into two broad categories: youths who are detained and those who are committed. Like adults in county jail, detained youths are awaiting the final outcome of their legal case, with the length of their stay ranging from a few days to several weeks or months. Committed youths are more permanent residents whose legal cases have been fully resolved, and will sometimes spend years at the facility receiving treatment and counseling while attending the A.R. Gould School, the in-house educational arm of the facility that offers classes to all grade levels. 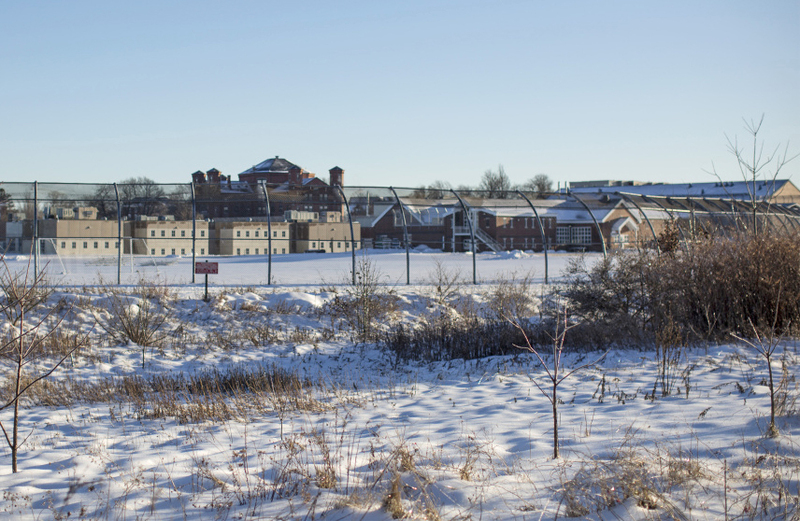 About 80 youths live at the 160-bed facility, which is located in South Portland, just south of the Portland Jetport and west of I-295. In response to the report and its findings, the American Civil Liberties Union of Maine called for the facility’s closure. In calling for the facility to close, the ACLU highlighted staff abuse of residents and consistently high levels of resident-on-resident violence, the inappropriate use of force by staff, and a failure to provide legally mandated education and special education services. GLAD also was highly critical of Long Creek in the wake of the report. “The underlying takeaway from this assessment confirms what we already know: Prisons do not work for youth,” said Mary L. Bonauto, civil rights project director at GLAD, which represents four youths currently or recently incarcerated at Long Creek.